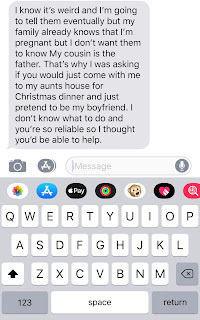 A Nigerian lady who got pregnant for her cousin has sent a guy a message to pretend to be her boyfriend this Christmas season. According to the Twitter user, he woke up to see the message from the lady on his Facebook timeline. see what she wrote "I know it's weird and I'm going to tell them eventually but my family already knows that I'm pregnant but I don't want them to know my Cousin is the father. 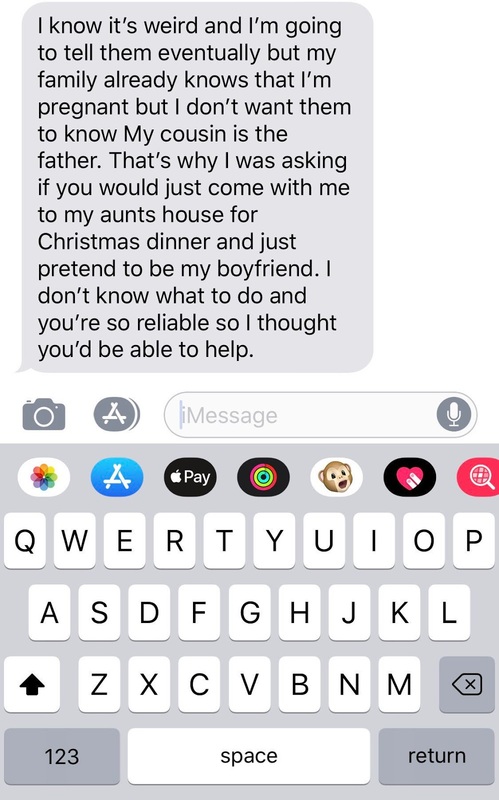 That's why I was asking if you would just come with me to my aunts house for Christmas dinner and just pretend to be my boyfriend. I don't know what to do and you're so reliable so i thought you'd be able to help"